Here in Wilmington October marks the start of Fall season fishing. 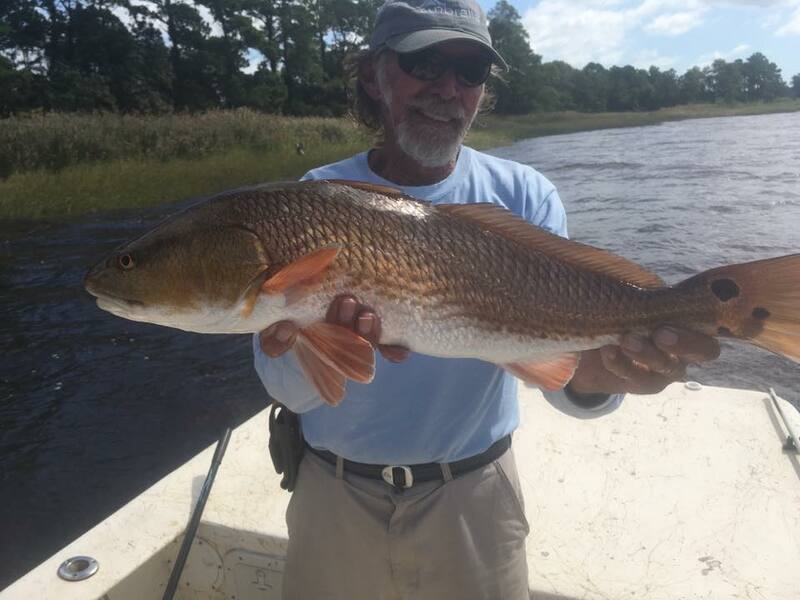 Leading into October the coastal areas of Wilmington are teeming with our Fall favorites for inshore anglers. These include Redfish, Sea Trout, and Flounder. Just 5 days ago we had a client inshore slam on all 3 species. The Redfish in particular have been biting extremely well, with their autumn like colors – its like Redfish were built for Fall fishing. Redfish have been pulled out of the shallow water flats as well as along the edges of the marsh grass. 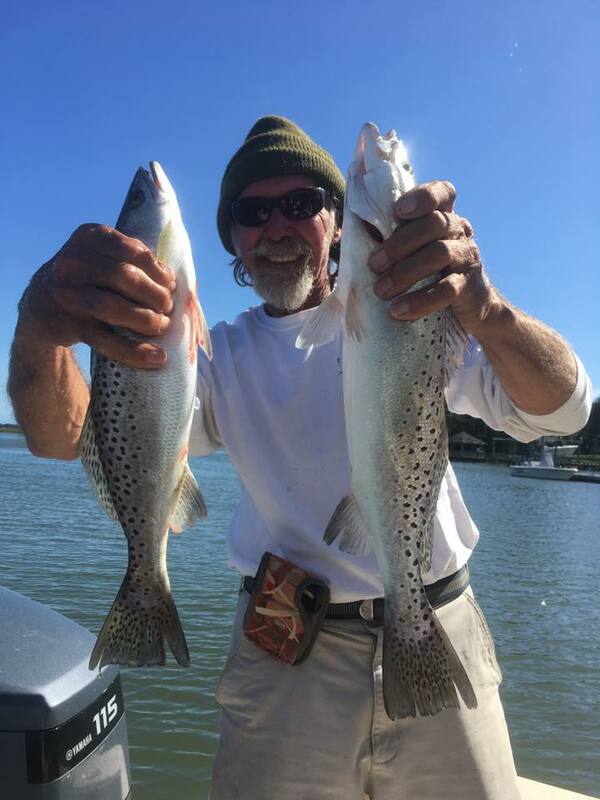 Seatrout are biting consistently with several trips showing great numbers here in the past week. 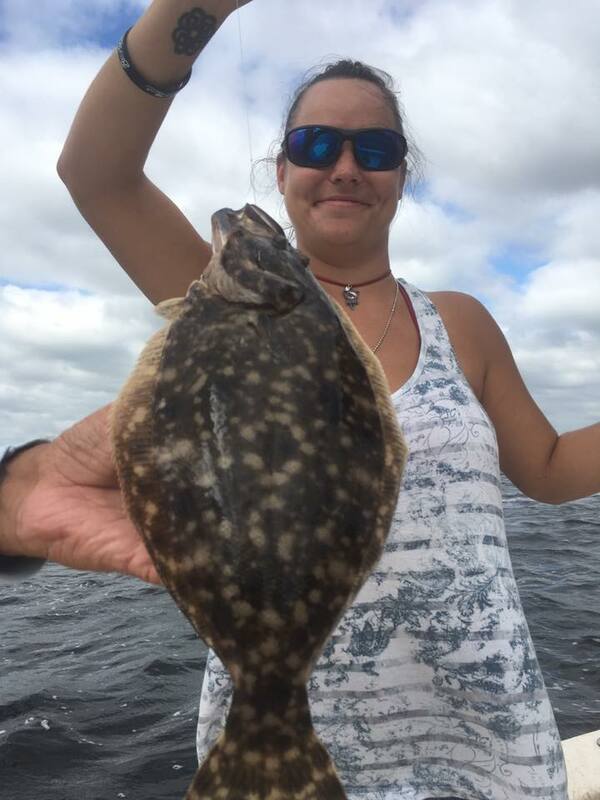 Fishing the bottom of these shallow water areas for Flounder is still going strong as well. Other items to note are that though Spanish Mack’s begin to thin out, Kingfish are out and everywhere – as well as false albacore and bonito for a little drag pulling fun. As we head towards the end of the month, the sea trout bite will get stronger, with better quality fish showing themselves.